Blood pressure is measured with a sphygmomanometer. With a manual blood pressure monitor, a cuff is tied around the upper arm and inflated so as to momentarily stop the blood flow. When the air is released, the blood pressure is monitored. At this point, two measurements are taken. Systolic blood pressure is the reading when the heart contracts. Diastolic blood pressure is the reading when the heart relaxes between beats. Blood pressure is measured in millimeters of mercury(mm Hg). Hypertension or high blood pressure sometimes does not manifest in obvious symptoms and work as a silent killer. Electronic or digital blood pressure monitors use a microphone to detect the pulsing of blood through the artery. This monitor gives you a reading of pulse and blood pressure. Depression is a very common medical disorder that affects every 1 in 5 individual in the U.S. It is often said that depression results from chemical imbalance in the brain, either too little or too much of certain chemicals in the brain. Factors that lead to chemical imbalance could be one or a combination of recent events, past issues, genetic vulnerability, medications, medical problems etc. 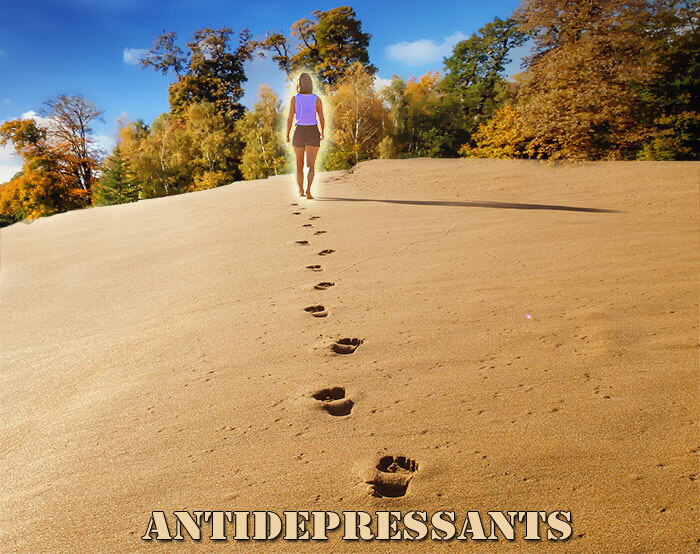 Antidepressants, as the name suggests treat depressants. About 50% of people who take antidepressant find their depression symptoms halved. The first antidepressant drug was Imipramine (Tofranil). It was marketed in 1958. Today, there are close to 30 antidepressants that are grouped into five categories. Each has different chemical structures to treat moderate to severe depression. There are five main types of antidepressants. They differ in the neurotransmitters they affect. Under these five types of antidepressants, there are around 30 antidepressant medicines. They are grouped based on how they work. Each antidepressant is different and affects different systems of the brain to different degrees. Considering the difference to be as small as 3-4%, it can have an enormous impact on an individual to alleviate depression symptoms. Patients respond to antidepressants differently. Some may respond to or tolerate one antidepressant and not respond to or tolerate another antidepressant. Each antidepressant has different use, adverse effects and drug interactions. Prescription of anti-depressants is based on the symptoms, patient's age, family history, drug tolerance, side effects and past response to antidepressants. How MAOIs work: When depressed, the brain chemistry is impacted. The level of three neurotransmitters, norepinephrine, serotonin and dopamine is low. Collectively, these three are called monoamines. An enzyme called monoamine oxidase is linked to removing the three neurotransmitters from the brain. Antidepressants such as MAOIs inhibit monoamine oxidase and allow more of the three neurotransmitters to remain in the brain. The levels of the chemicals rise. This elevates mood as there is improved brain cell communication. MAOIs have been replaced by antidepressants that are far safer and cause fewer side effects. MAOIs carry the risk of considerable side effects and drug interactions. The Food and Drug Administration has approved these MAOIs to treat depression. Of the four, Selegiline (Emsam) is a skin patch approved to treat major depressive disorder. The other three are available as oral medications. MAOIs carry the risk of considerable side effects and drug interactions. Hence, MAOIs are prescribed when other depressants fail to provide desired results. Common side effects of MAOIs are dry mouth, nausea, diarrhea or constipation, headache, drowsiness, tiredness, weakness, insomnia, dizziness or lightheadedness, skin reaction at the patch site. Other possible serious side effects include fainting, mental/mood changes, muscle stiffness, swollen ankles and legs, involuntary muscle jerks, shaking (tremor), low blood pressure, reduced sexual desire, sudden weight gain, eye pain, double/blurred vision, difficulty starting urine flow, muscle cramps, prickling or tingling sensation in the skin. When two or more drugs interact, it can reduce the efficacy of the drug. Possibility of unexpected side effects is high. Knowing drug interactions is critical for your health. It is best to discuss with health care provider before taking MAOI anti-depressant medication. MAOIs can cause serious reactions if taken with certain other drugs. MAOIs interact with cold, cough, allergy, sinus, decongestant and hay fever medications. The medicines can be in the form of tablets, ointment, sprays or drops. MAOIs interaction with medicines to treat low blood pressure. MAOIs interaction with medicines to treat high blood pressure. MAOIs interaction with pain-killers and anesthetic medicines. MAOIs with certain foods and beverages can cause dangerous interactions. It is best to consult your doctor for a complete list of foods and beverages to be abstained from. Take for example tyramine, an amino acid which occurs naturally in the body and helps regulate blood pressure. When MAOI is recommended, foods and beverages with tyramine should be restricted as it can quickly reach dangerous levels and spike blood pressure. Foods with high levels of tyramine (an amino acid to regulate blood pressure) - Strong or aged cheese, cured meats, smoked or processed meats, sauces, soybeans and soybeans products, snow peas, broad beans and their pods, dried or overripe fruits, meat tenderizers, yeast-extract spreads, alcoholic beverages. Improperly stored foods or stale foods. MAOIs are prescribed only when all the other anti-depressants don't work. It's mainly due to the 'cheese effect'. The connection is established. Yes, those who ate products containing cheese while on an MAOI experienced severe headaches. Further, MAOI is not recommended for children or teenagers. MAOI works best when paired with some form of psychotherapy. An antidepressant alone would not suffice to meet the behavioral, emotional or underlying mental health issues. A qualified psychotherapist can help in coping with the condition. How SNRIs work: Serotonin and Norepinephrine Reuptake Inhibitors affect two important brain chemicals, serotonin and norepinephrine. Serotonin is regarded as a 'feel-good' chemical. It is associated with positive feelings of wellbeing. Norepinephrine is associated with alertness and energy. An imbalance can cause depression. SNRIs block the reabsorption (recycling) of the neurotransmitters in the brain. Reabsorption is going back into the cells that released them. When reabsorption happens, the levels go down. When SNRIs block reabsorption, the levels of the two neurochemicals increase and helps improve and elevate mood, enhances the alertness of the person experiencing symptoms of depression. This type of anti-depressant is also called dual reuptake inhibitors or dual-acting antidepressant as they affect two important brain chemicals-serotonin and norepinephrine. The Food and Drug Administration has approved these MAOIs to treat depression. Besides some medicines, intake of certain substances as given below, can increase the toxicity of SNRIs. Compared to other types of anti-depressants, SNRIs have fewer side effects. In most cases, the side effects go away after few days or weeks of taking SNRIs. Anti-depressant medications take four to six weeks to start working. It is always best to inform the doctor of any side effect if experienced while taking any antidepressant. While taking an anti-depressant, it is not necessary for the patient to experience all the side effects. It may be any one or a few of these side effects. Women who are pregnant or thinking of becoming pregnant and breastfeeding mothers should let the healthcare provider know while being prescribed an anti-depressant medication, including SNRIs. Serotonin syndrome may occur when the levels of serotonin in the brain reaches high levels. It is triggered when an SNRI antidepressant is taken with another drug with high levels of serotonin (example – St.John's wort). Seek emergency medical help. The symptoms of severe serotonin level rise are very high fever, seizures, irregular heartbeat and unconsciousness. Two SNRIs, namely Duloxetine and Milnacipran (approved to treat Fibromyalgia) is contraindicated in patients with uncontrolled narrow angle or angle-closure glaucoma. SNRIs can cause liver problems, including hepatitis. SNRIs are not recommended for people with liver problems and kidney problems (renal failure). There is a high possibility of SNRIs affecting activities requiring mental or motor concentration. At least for the first few days or till such time the patient is accustomed to the effect, it is best to have family or friends or paid support. Also known as cyclic antidepressants or TCAs, this type of antidepressant is best suited for patients and is prescribed by doctor only when other drugs have failed to treat depression. TCAs are similar to SNRIs. TCAs increase levels of norepinephrine and serotonin, the two neurotransmitters and block the action of acetylcholine, another neurotransmitter. By restoring the balance in the brain Tricyclic antidepressants alleviate depression. Besides these, Maprotiline is a Tetracyclic antidepressant that is FDA approved to treat depression. 40% of people taking antidepressants have side effects. Initially in most cases, the side effects may cause problem but would improve with time. Benefits of treatment outweigh the initial problems. Drug interaction includes interaction of drugs with other drugs, interaction of drugs with food (drug-food interaction) and other substances. The interaction may increase or decrease the effectiveness of the drugs and/or its side effects. Sometimes, the interactions may lead to psychological sufferings. Prior to starting treatment with any medication, including antidepressant, make a list of all the medications being taken and provide it to the health care provider. While taking TCAs it is best not to drink alcohol, as it can add to the side effects. People who have seizures, difficulty urinating, glaucoma or heart conditions (coronary heart disease) the symptoms can get worse. Of the different types of antidepressants for depression, SSRIs or Selective Serotonin Reuptake Inhibitors are most commonly prescribed. SRIs are relatively safe and have fewer side effects. SSRIs ease symptoms of moderate to severe depression by increasing the levels of serotonin in the brain. Serotonin is one of the chemicals (neurotransmitter) that help to relay messages from one area of the brain to another. Serotonin is believed to influence a variety of psychological and other body functions. An imbalance in serotonin levels may influence mood and lead to depression. Low brain cell production of serotonin, a lack of receptor sites to receive the serotonin that is made, inability of serotonin to reach the receptor sites, shortage of tryptophan – chemical from which serotonin is made, any of these can lead to depression. SSRIs are subject to extensive oxidative metabolism (a chemical process wherein oxygen is used to make energy from carbohydrates) in the liver. Drug interactions with SSRI are either due to overdosing of the drug combined. SSRIs are not suitable for people with certain medical conditions. While an antidepressant medication is being prescribed, the health care provider should be informed if the patient has any of these medical conditions to weigh the benefits vs. risks. The object of knowing side effects of any medication is to be aware of what to expect and to work out a strategy to continue medication and speed up recovery. Though SSRIs are the most commonly prescribed antidepressant, their side effects cannot be ignored. All SSRIs tend to work in a similar way. But the active ingredient differs. Some people may experience side effects and some people may not. And even if experienced, common side effects of SSRIs are most likely to improve after few doses once the body adjusts to the medication. Talk to health care provider to know possible ways of reducing these side effects. For example, taking medication with food can reduce risk of nausea. There are risks associated with taking any type of antidepressants during pregnancy. The medication does cross the placenta and are found in both amniotic fluid and breast milk. Associated risks are preterm birth, low birth weight, birth defects and delays in developmental milestones. The health care provider would recommend use of antidepressant during pregnancy based on the balance between risks and benefits. SSRIs have the best safety record. To treat depression during pregnancy SSRIs like Citalopram (Celexa), Fluoxetine (Prozac) and Sertraline (Zoloft) are recommended by health care providers. How it works: Typically, these antidepressants do not fit into other types of antidepressants. Each atypical antidepressant is unique and works in a different way to treat depression. Atypical antidepressants are recommended for patients with major depression with inadequate responses or intolerable side effects during first-line treatment with SSRIs. The link between the three main monoamine neurotransmitters in the brain i.e. dopamine, norepinephrine and serotonin and depression symptom is certain. Increase or decrease of specific neurotransmitter brings about specific symptoms which in turn suggest that depression can be assigned to specific neurochemical mechanism. Accordingly, doctors prescribe specific antidepressant drug that target symptoms-specific neurotransmitters to treat patient. Atypical antidepressants work in this manner by effecting changes in brain chemistry. They change the levels of one or more neurotransmitters, such as dopamine, serotonin or norepinephrine. Changing the balance of these chemicals help brain cells send and receive messages, which in turn boosts mood and provide a sense of relaxation. Some patients may not experience any side effect. Those who experience can feel assured that it may go away after a time. In case it persists, the health care provider may prescribe a different medication. Each atypical antidepressant is unique, side effects too vary. Atypical antidepressants can cause some problems in some circumstances. While atypical antidepressant is prescribed for treatment of depression, the patient should inform the healthcare provider of any health issues and related medicines being taken. Women who are pregnant or planning pregnancy should discuss the risks/benefits of taking atypical antidepressant. Never stop the medication suddenly and without informing the doctor as it poses great risks. Seek immediate medical attention if symptoms related to Serotonin syndrome occurs. When two medications that affect an increase in serotonin are combined, it can lead to Serotonin Syndrome. Symptoms include anxiety, agitation, sweating, confusion, tremors, restlessness, lack of coordination and a rapid heartbeat. Drinking alcohol or using illegal drugs while taking antidepressant medication may decrease the benefits, worsen the condition and increase adverse effects of the medication. Atypical antidepressant Bupropion should be avoided by patients with seizure disorder or an eating disorder like bulimia or anorexia. Mirtazapine is not approved for use in children. Also, Mirtazapine increases cholesterol levels. Nefazodone can aggravate liver disease. Trazodone is to be avoided by people with heart related ailments. Vortioxetine is linked to risk of bleeding. Certain drugs or substances may increase blood levels and toxicity. Hypertension is a medical term for abnormally high blood pressure. When the blood pressure readings consistently show elevated readings over a period of time, hypertension is the resultant condition. Normal blood pressures hovers around the range of 120/80 mmHg. Pre-hypertension is a Situation when your blood pressure hovers around 130 for systolic pressure and between 80 and 89 for diastolic pressure. Factors that can affect blood pressure are many - salt content of the body, volume of water in the body and the condition of the kidneys, nervous system and blood vessels. It is essential not to ignore signs of hypertension - high blood pressure, since it increases the strain on the heart and lead to stroke or heart attack. Secondary hypertension is noticed among 5% of the people. The causes can be linked to kidney disease or adrenal gland disease or even narrowing of the aorta. It is sometimes seen due to use of steroids, contraceptive pills. Hypertension induced by pregnancy or pre-eclampsia is another cause for secondary hypertension among women. Hypertension is known to run in families and chances of your developing hypertension are high if your close relatives suffer from it. Other causes of hypertension are obesity and excess stress. Those who consume large quantities of alcohol or salt are also at higher risk of getting hypertension. If you are obese, it is necessary to lose weight and make dietary changes. Decrease levels of fat and sodium. A modest restriction of salt may decrease blood pressure. Instead increase the proportion of fiber, fruits and vegetables. Limit your alcohol intake to one or two glasses a day. Introduce exercise into your daily routine to treat hypertension. Regular, moderate aerobic exercise can modestly decrease blood pressure and has many other beneficial effects. Gradual weight loss through modified calorie intake and increased physical activity is a good approach to tackle high blood pressure.